is a multi-talented creative director with stellar achievements not only in advertising but also in new business development, strategy, product design and media initiatives. Joining Dentsu in 1994, Harano was committed to helping the agency’s digital subsidiaries with their digital initiatives. 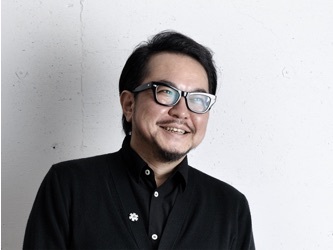 After leaving Dentsu, Harano helped a media startup to conclude a successful IPO, following which, he returned to Dentsu to launch Drill, a non-traditional creative agency. In 2011, he co-founded PARTY and led it to win the Independent Agency of the Year at Spikes Asia 2012. Soon after, in 2012, he founded Mori Inc., which is selected as ‘The World's Leading Independent Agencies 2014’ by Campaign UK. He has also served as a judge and a jury president for numerous awards including D&AD (2013: the foreman for Mobile), One Show (2017: Cross Platform), Cannes Lions (2013: Innovation / 2012: T&I / 2009: Design), Andy Awards (2016 and 2014) and Spikes Asia (2012: the jury president for Digital/Mobile). 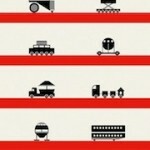 Creative Superpowers is a book published by the London-based publisher, Unbound. 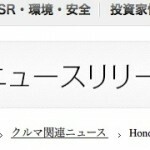 Upon releasing the Japanese-translated version, we worked on the book design. 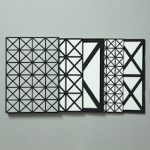 By reading this book further, the reader will gain the creative powers, bring about a new creation and then expand their world – we depicted such dynamic notion in a shape of iron frame used for the construction. The paper and fonts are chosen to be appropriate for the ‘bible’ of innovation. 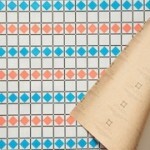 We created two versions, standard and deluxe. The standard one comes with an expandable book cover which can be used as a promotional poster. The deluxe one consists of four themed booklets and a sleeve to hold them together. Mori is also one of the original writers of this book. 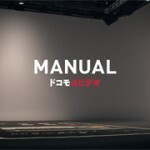 Deluxe Edition Printer: Dentsu On Demand Graphic Inc.
Standard Edition Printer: SO-EI PB PRINTING CO., LTD.
A brand film for Pola B.A made by Mori Inc. with Nick Knight and PRETTYBIRD. ZOZO: Be unique. Be equal. 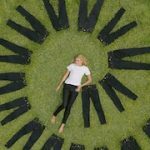 Mori Inc. created a new branding film for ZOZO, an online fashion brand that creates clothes on demand, tailored to fit you, body and soul. 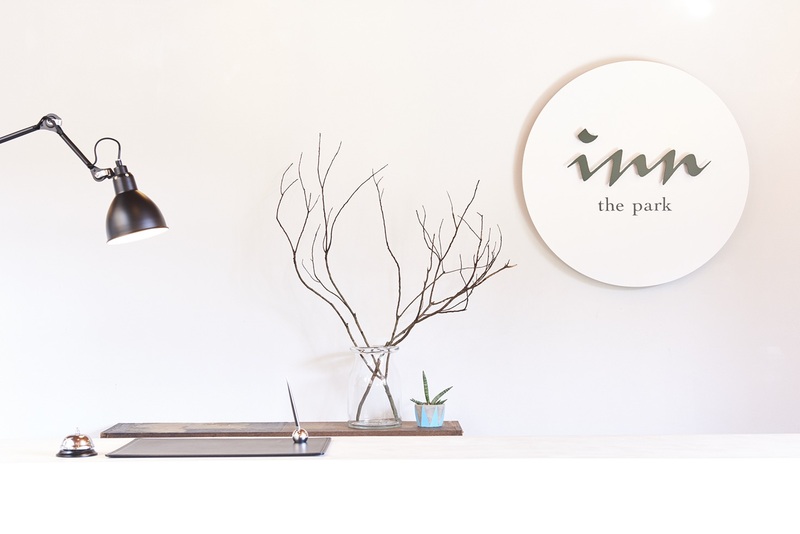 Mori Inc. provided the strategy and creative direction to “INN THE PARK”, a new creative camping hotel in Numazu, Shizuoka. This property was originally build for summer camp school purpose over 30 years ago by Numazu city, but was almost abandoned due to the recent low-birthrates situation. We teamed up with the city and Open A, a cool real estate company, to renovate it and reopen it as a “stay-able park” for everyone. 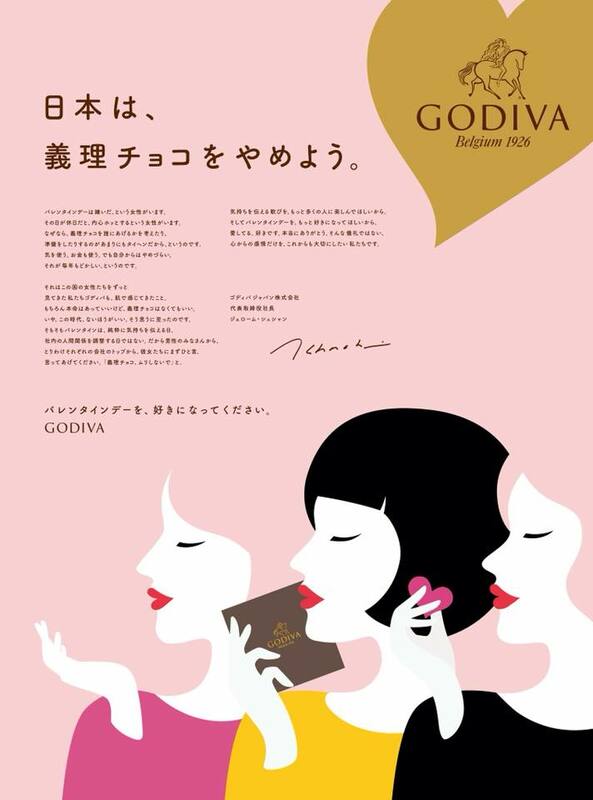 We created a Valentine's Day campaign for Godiva, which includes a full-page ad in the Nikkei financial newspaper, in which their president Jerome Chouchan suggested the "giri choco" practice is antiquated and should be retired. *giri choco: A Japanese Valentine's Day tradition in which woman are expected to buy "giri choco", or obligation chocolate, for male coworkers as a thank-you for their support and cooperation throughout the year. 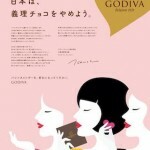 We also created a TVC in which Godiva also suggested their customers give freely in this Valentine's Day. 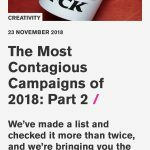 The campaign was selected for “The Most Contagious Campaign of 2018” by Contagious Magazine. 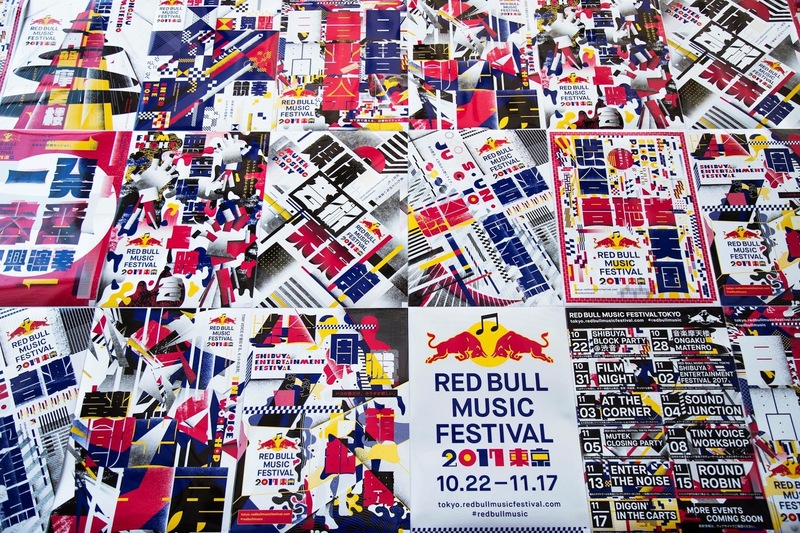 We, Mori Inc., provides the creative direction to Red Bull Music Festival Tokyo 2017, and made awesome posters and a video. Must-see! 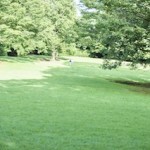 Human beings are instinctively mobile. We can trace our roots to the continent of Africa, where, millions of years ago, our ancestors began what archaeologist Brian M. Fagan calls "The Great Journey." It was a migration north into Europe, across Asia, and on to North and South America. 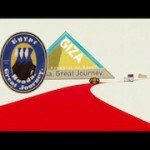 A journey of over 50,000 kilometers. No other creature on Earth has traveled so far, or adapted itself to the terrain so widely. The goal of our Great Journey project is to reimagine this journey, and propose how it could be made today using the latest technologies for human mobility. It was conceived as a journey of adventure that would also allow us to develop prototype vehicles for comfortable travel virtually anywhere on the planet. 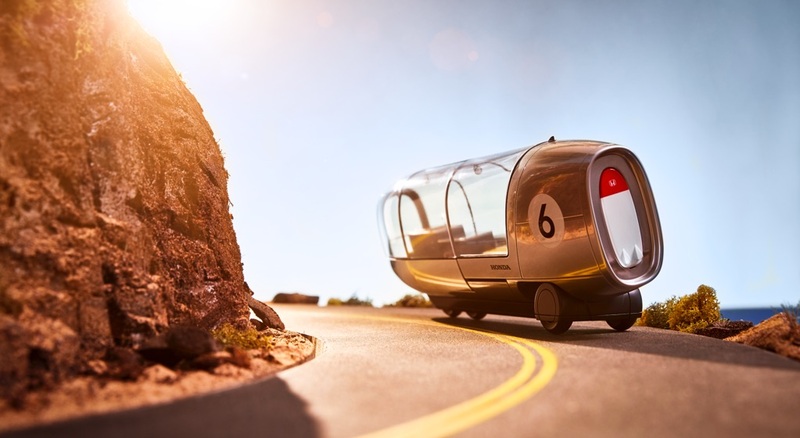 Vehicles that offer a superb view of the passing scenery, and that can drive autonomously day and night, providing not only transport, but also shelter, a place to sleep, even a hot bath and space for a family pet. With their expanded mobility and functionality, these vehicles are designed to enable us to follow our natural instincts and curiosity, exploring and rediscovering the ancient romance of travel in complete and total comfort. 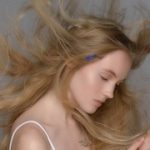 Production Company: TYO drive, Ogle Models, Kaibutsu, Creative Power Unit, PEN. 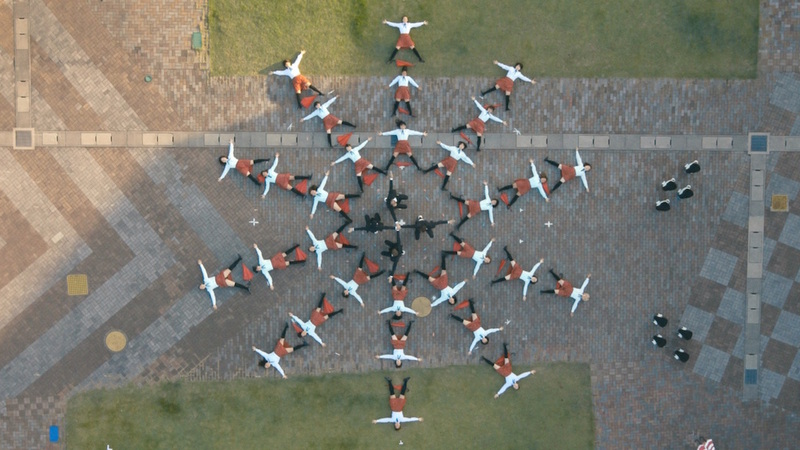 We created a music video for OK Go's "I Won't Let You Down" in collaboration with Honda. Please watch the interview video for further information. 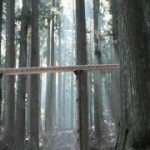 Bach's Cantata 147, ‘Jesu, Joy of Man’s Desiring’ played on a gigantic 44m xylophone made with surplus wood of trees. 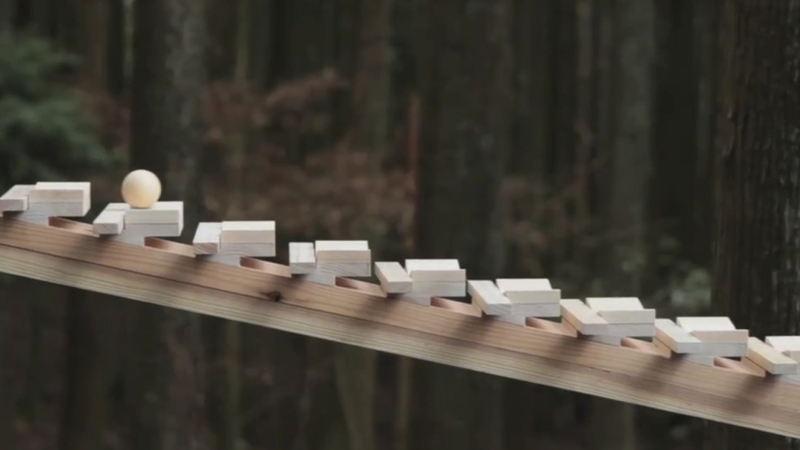 A promotional movie for "Touch Wood SH-08C", a mobile phone also made out of surplus wood. 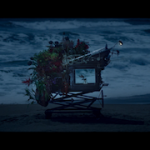 The film was selected as the Ad Ages's "The Best 10 TVCs 2011", "TED: Ads Worth Spreading 2012", and became one of the most watched Japanese TV commercials on YouTube. A video for Eight, an app which enables us to manage our business cards in a smarter way. 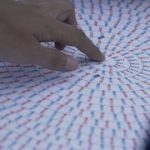 The video shows how to exchange business cards also in a "smarter" way. 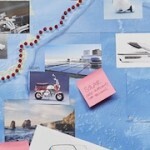 A branding video for Sansan, a Japanese company which provides the social platform of business network. 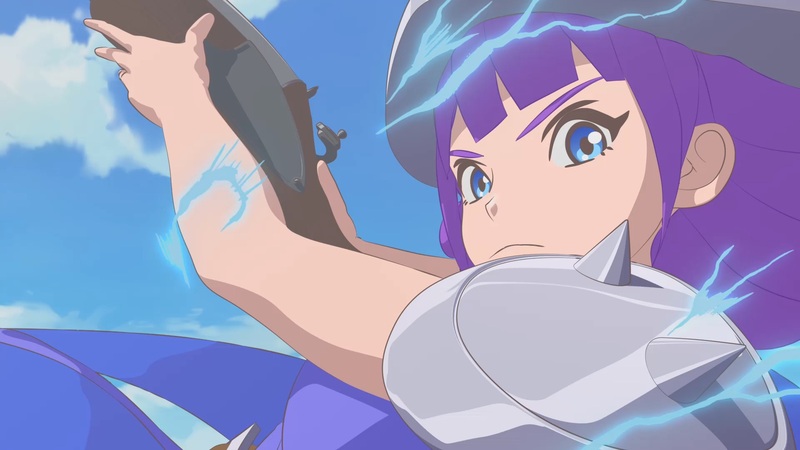 We created the Japanese “anime” version of Supercell’s Clash Royale TVC with the credible animators here and a rock band called “Gesu no Kiwami Otome”. 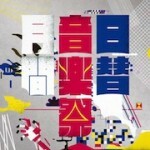 Music: Gesu no Kiwami Otomoe. 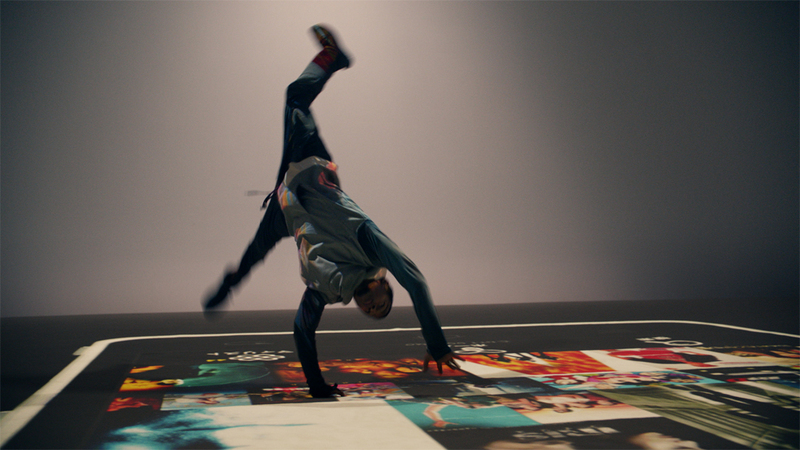 We, Mori Inc., created an Uniqlo video with Greg Brunkalla and Stink Studios London. We tried to make a very "product-hero" TVC more entertaining and exciting, inspired by a great opening credits of "Footloose" of 1984. 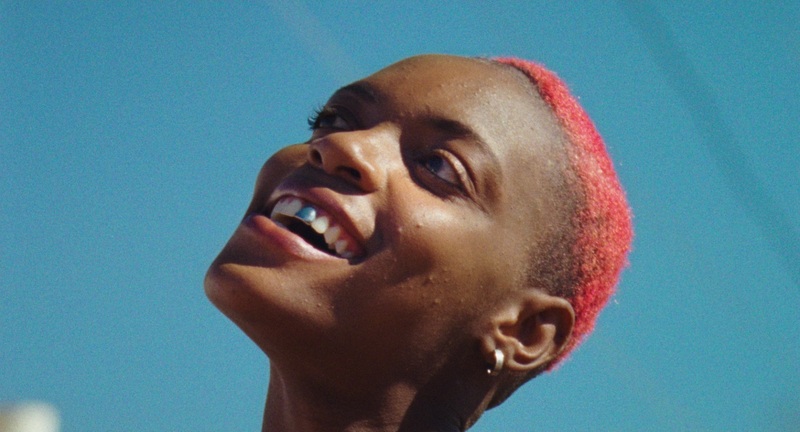 A film by Lernert & Sander. This film puts the eye-popping slow motion function of the Sony Action Cam to the test in an surprisingly fast race between the epitome of slow - turtles. NOTE: No turtles or dogs were harmed in the making of this film. 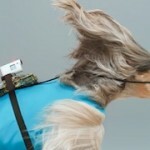 All animals were professionally supervised on set by American Humane Association and the turtles on the dogs’ backs are custom designed robotic puppets. 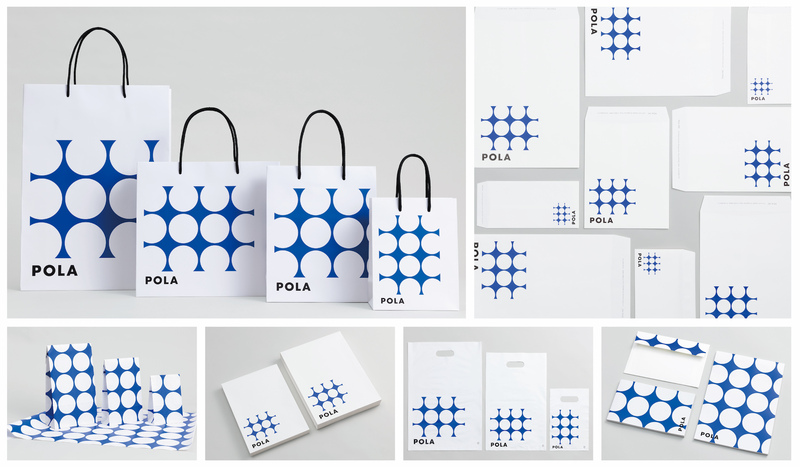 The brief was to rejuvenate Pola's visual identity upon their 85th anniversary, including a total redesign of all of their branding and packaging. 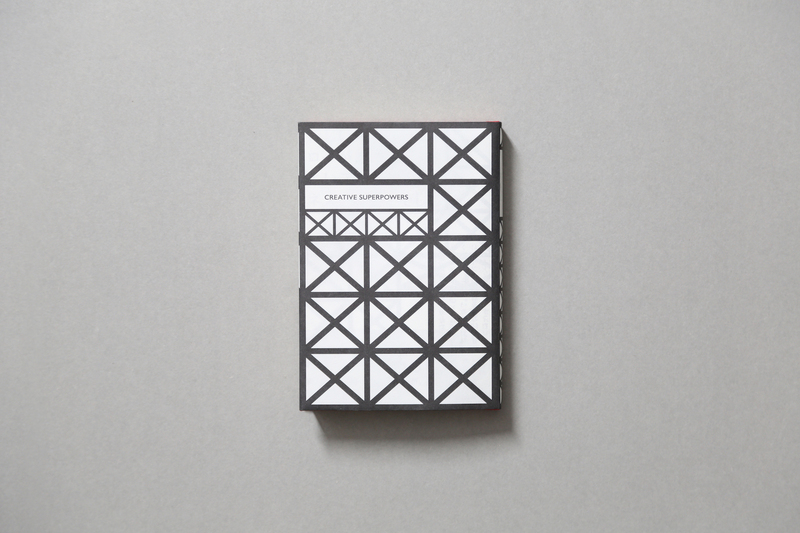 We designed a visual identity system based on dots: Pola Dots. 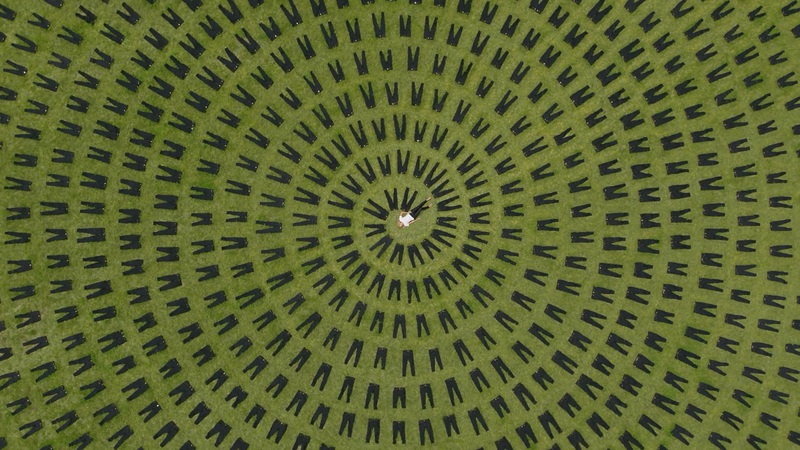 Each dot represents a drop of Pola’s beauty products; the pattern shows the way that dot expands drop by drop infinitely across time and space. 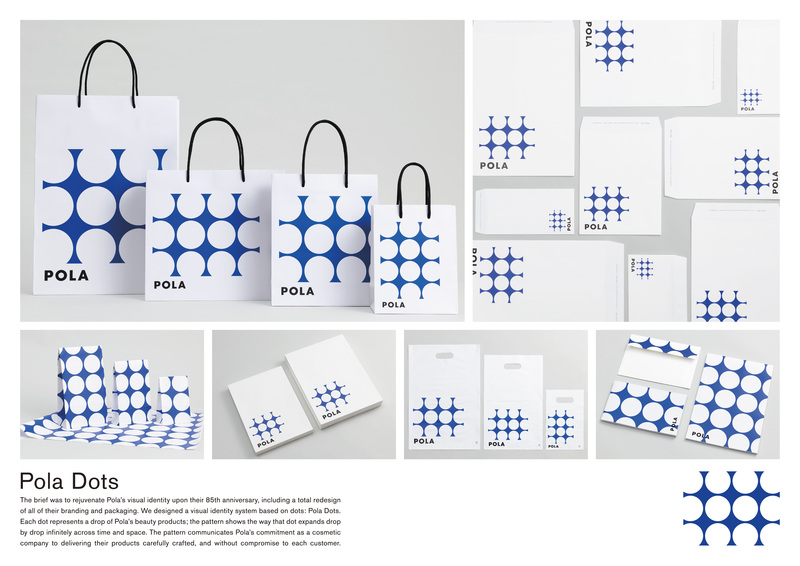 The pattern communicates Pola’s commitment as a cosmetic company to delivering their products carefully crafted, and without compromise to each customer. 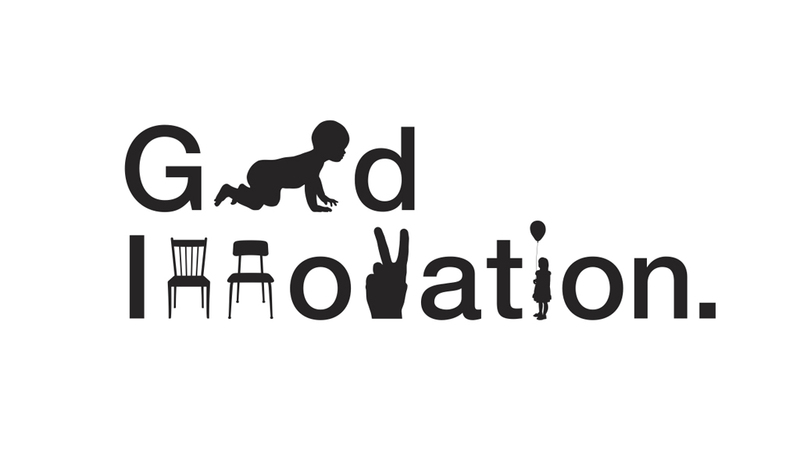 Creative Agency: Mori Inc. + Light Publicity Co., Ltd.
Design Agency: Kazunari Hattori Inc.
Production Company: Light Publicity Co., Ltd. 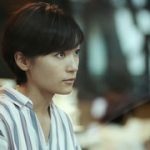 This POLA recruitment ad was the first ever TVC which mentioned about the gender equality situation in Japan, and got a huge response from the audience. The 2017 version of the TVC for ”Pola Recruit Forum". We talked about the gender equality situation in Japan again, got a bigger response from the audience much more than the previous year. The 2018 version of the TVC for ”Pola Recruit Forum". 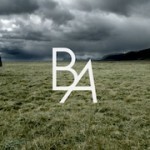 The rebranding campaign for POLA B.A. 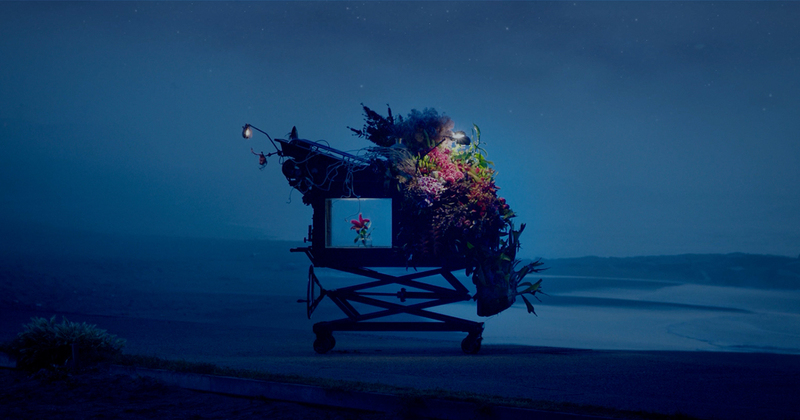 We created the beautiful flower stall with Makoto Azuma, Enzo, and Yusuke KItani and make it go around the world. The flower arts are also used for the new package design as the symbol of its new branding. Honda manufactures wide range of products including automobiles, motorcycles, jets, water crafts, electrical generators, lawn and garden equipments. 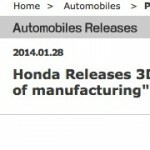 We found that Honda has been “the world's largest engine manufacturer”. 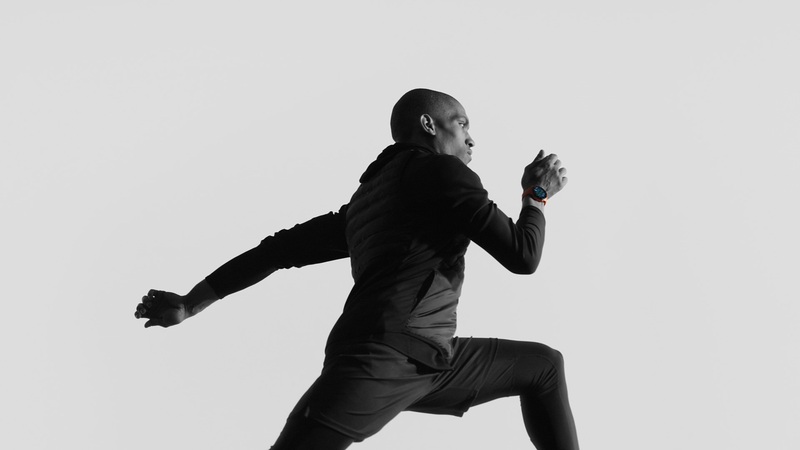 The engines don't just move machines and vehicles, but move people and society. We considered the engines with bigger perspectives, and developed the graphics and copies. The website automatically shifts as if it is driven by the engines. 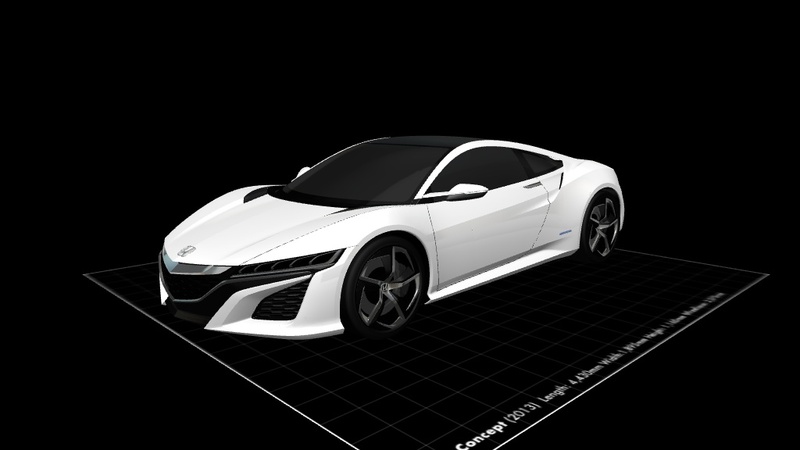 A new microsite where Honda is sharing their 3D design data/models online under Creative Commons 4.0 for your personal printing. 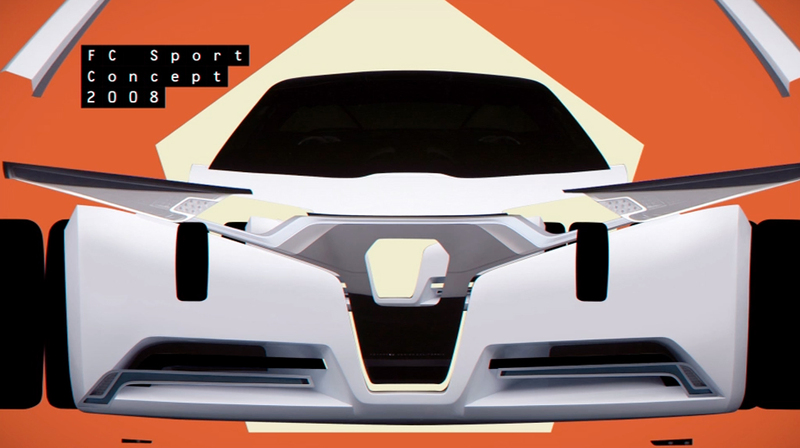 Creative Agency: Mori Inc. + Dentsu Inc.
Production Company: Kaibutsu Inc. + BIRDMAN Inc. + TYO Inc.
A motion graphics film for Honda's global branding. 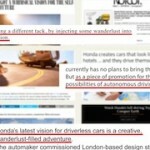 It was revealed at Honda booth in the 43rd Tokyo Motor Show. 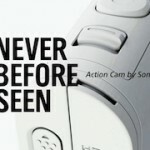 We created a young directors' showcase called "Never Before Seen", which hosts over 20 videos shot by Sony Action Cam to position it as the camera of choice for makers everywhere. 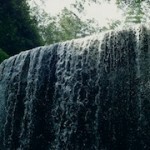 The riverhead area in Kumamoto, Kyushu is renowned for its high quality of pure natural water. 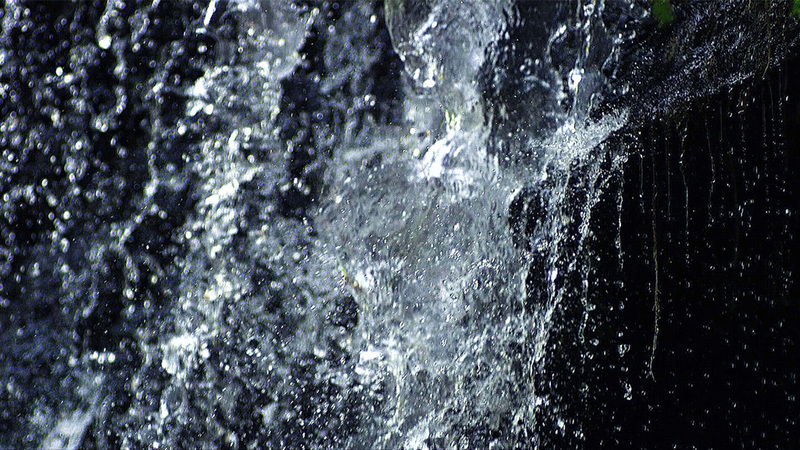 We created a music video kind of a TV Commercial by syncing the footage of the dancing water with the original sound of water, filmed and recorded around the area. The music is a widely known piece called Pachelbel's Canon. 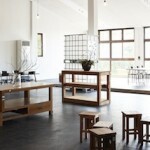 Production Company : Engine Plus + DRAWING AND MANUAL + Invisible Design Lab. 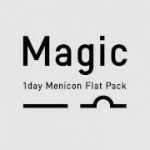 Magic is Menicon's new contact lens series, which uses a new technology that enables the super thin 1mm container. We created the entire brand communication, including the product name, packaging, communication design, PR solutions and advertisement. 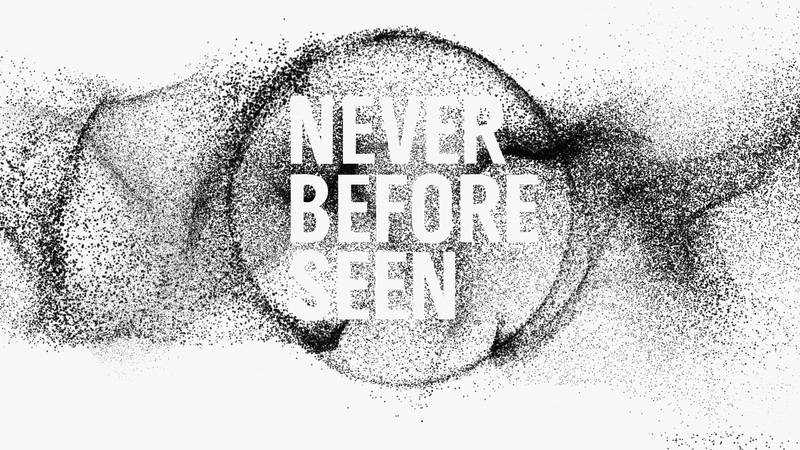 We created a new visual experience with a bespoke 720 degree camera. In short, you can become a "bird" now. Try the below link with hi-spec Mac/PC with hi-speed internet connection. We also have an Android app. 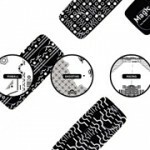 It is brought you by Miru, a new contact lenses brand from Japan. 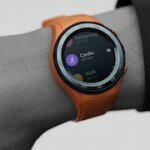 This video is created for the global launch of Huawei Watch 2. We, Mori Inc., made its strategy, the concept, the manifesto and the big idea, and also provided creative direction and art direction. 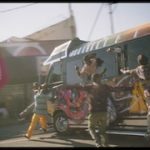 It is directed by Greg Brunkalla and produced by Stink Studios. 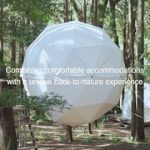 Hotel Japan is a truly unique hotel gift shop which sells curated souvenirs for creative travelers in Tokyo. 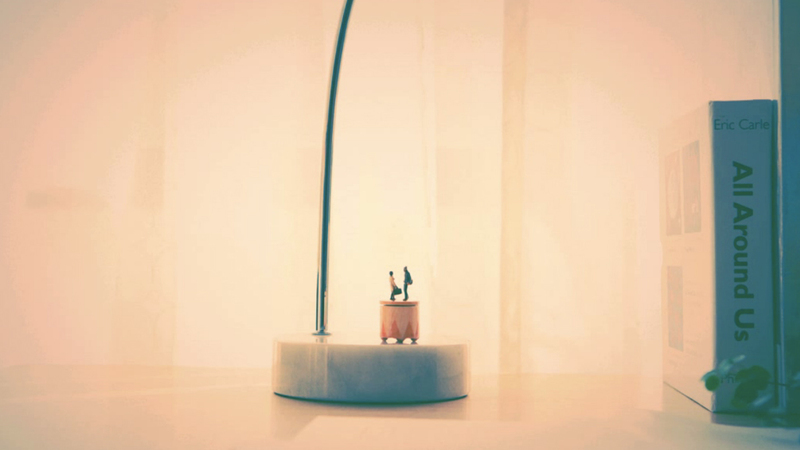 Although the hotel currently exists only in Mori's imagination, he looks forward to working with hotel operators who share his vision and desire to make it a reality. 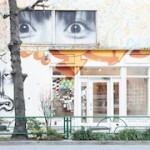 When you will come to Tokyo, please visit his gift shop in Jingumae, Shibuya. 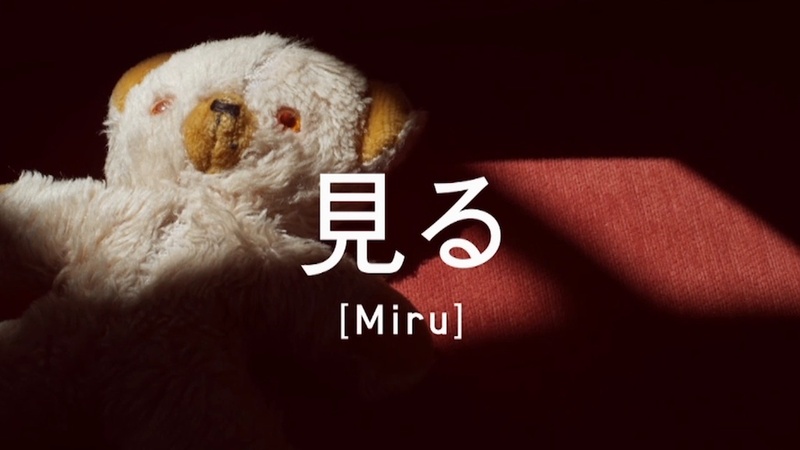 Owner+Curator+CD: Morihiro Harano, Mori Inc.
A creative instruction video for NTT Docomo's "d-Video", a VOD service for smartphones in Japan. Cast: Brandon McCuien / CD: Morihiro Harano (Mori Inc.) / AD: Jun Nishida (Drill Inc.) / Director: Kazuaki Seki. We designed a new interface for Bee TV, a movie distribution service for the smartphone developed by NTT docomo and Avex. 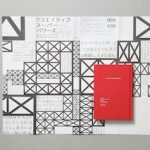 Morihiro Harano has been in charge of its wholesome creative direction, including the product name, visual identities, program selections, communication design and PR solutions since its inception in 2009. 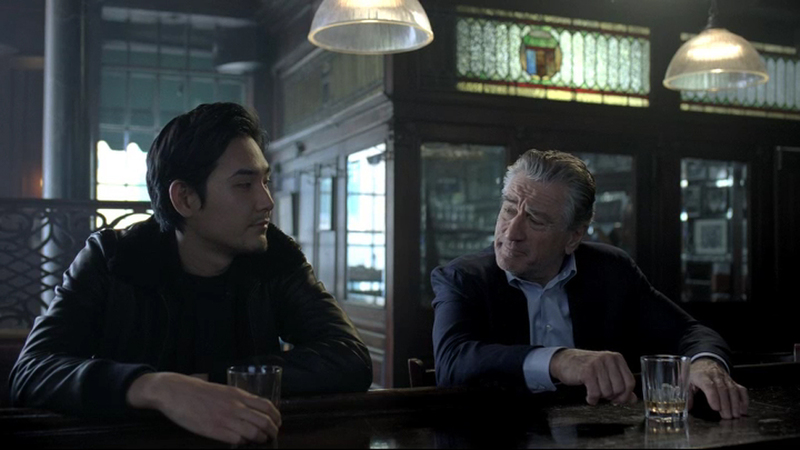 The 2013 brand campaign for "docomo d-Video powered by BeeTV" featuring Robert De Niro. 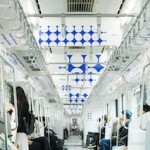 The commercial was produced by Takuma Takasaki at Dentsu. The 2013 regular promotion ad for "docomo d-Video powered by BeeTV". 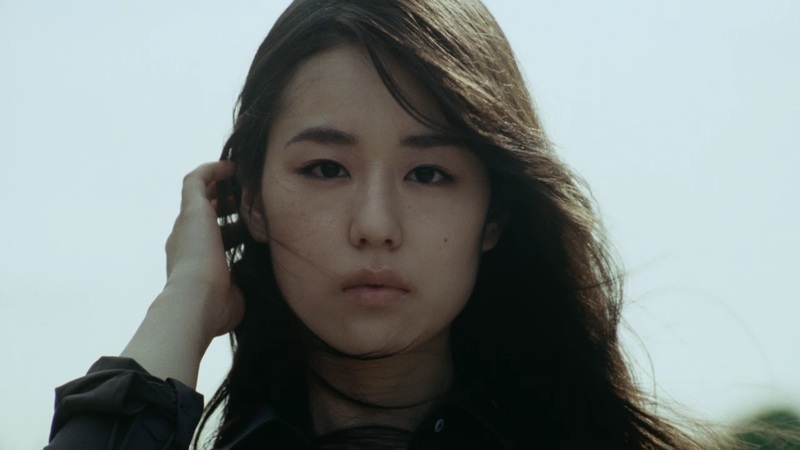 The commercial was directed by Tetsuya Nakashima. 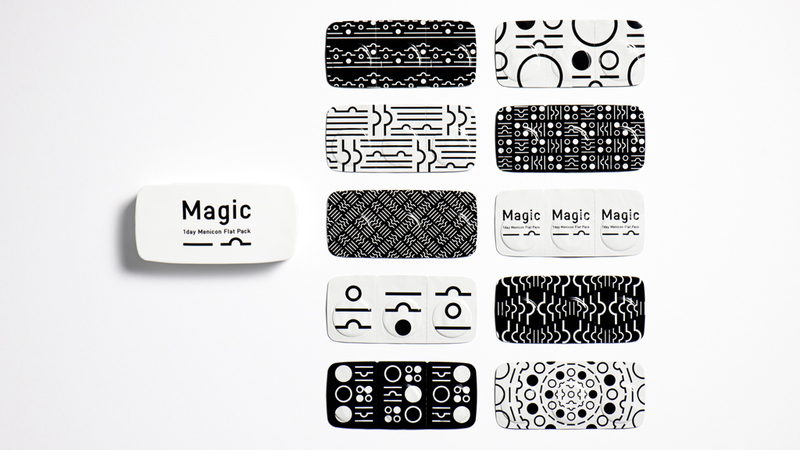 In order to increase the usage frequency of "EPOS CARD", a Japanese medium-sized credit card brand, we presented a bold idea - change the product design. 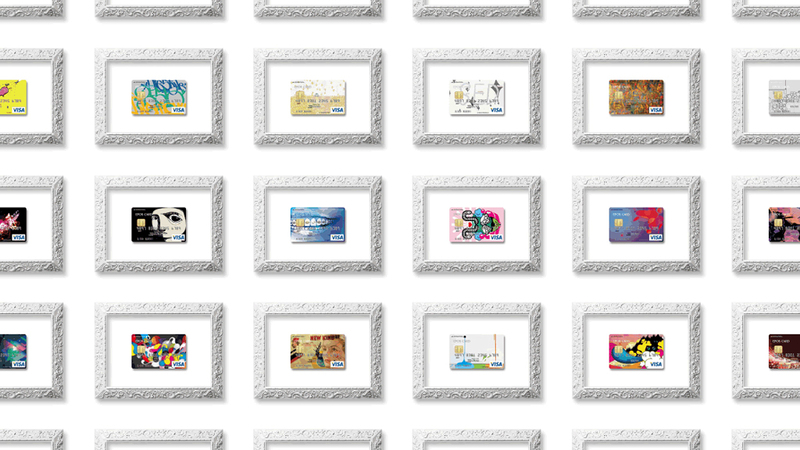 Based on the fact that there is no psychological connection between a user and a credit card, we added another feature to the membership process; choosing a favourite card out of 100 designs. With this, we have successfully created a personal psychological connection between the user and the service doubled the size of their credit card business. 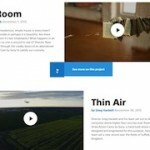 Make TV was created as a part of the Sony “make.believe” brand campaign. It was the first of its kind “live interactive TV show” that allowed the audience to participate in creating a music video for Karmin on TV. 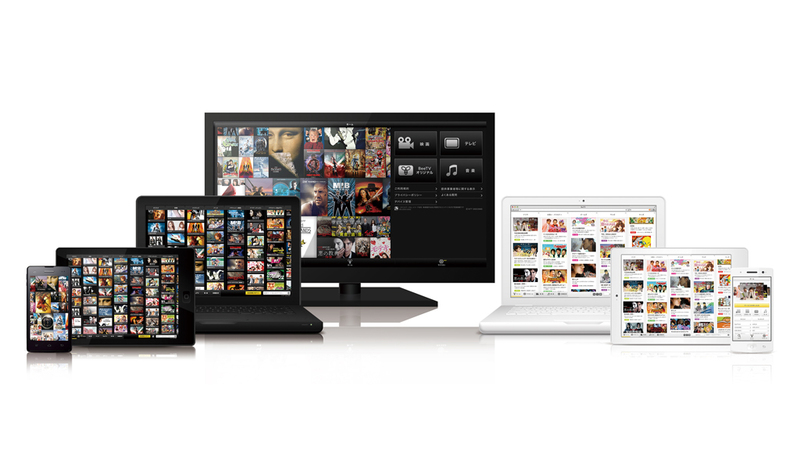 When people downloaded the app “Dot Switch” to their smartphone, tablet, or PC, they were able to collectively turn on the machines inside the TV show. 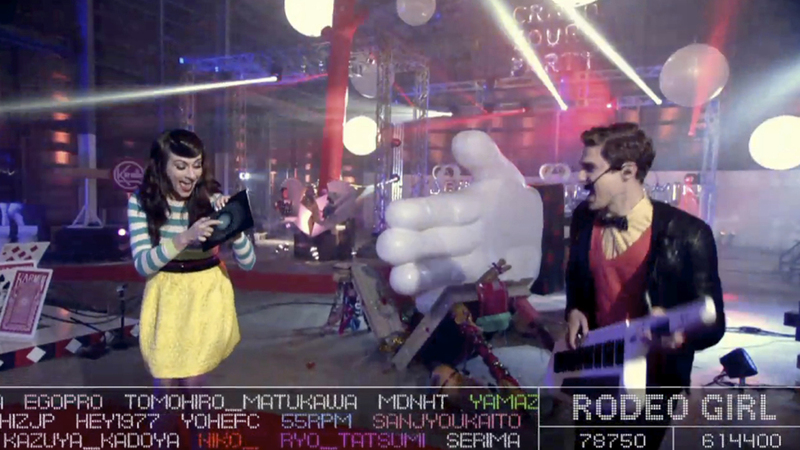 The TV footage was then turned into a music video, with a thank you list of all the participants’ names. As a result, more than 890,000 people watched it live, and over 7 million pushes were recorded during the show. 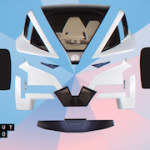 Backseat Driver is the first digital toy from ToyToyota. 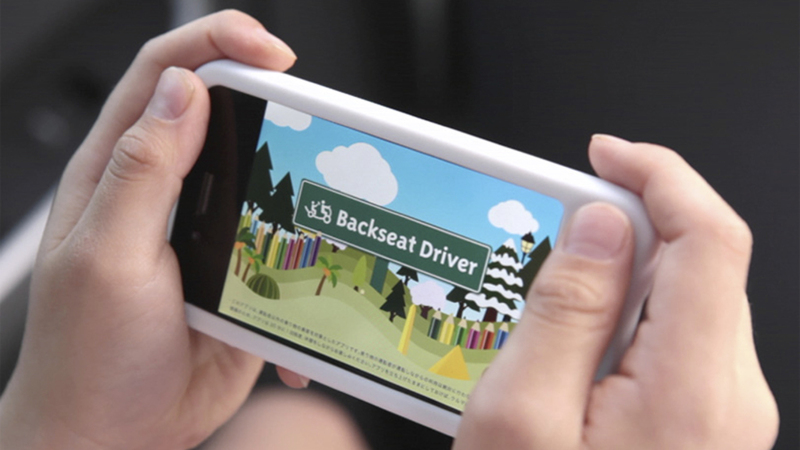 It's an iPhone app, which allows kids to enjoy driving from the backseat of the car. By using the iPhone's GPS function, the players are able to drive a virtual car, which moves along with the real car that they are driving. 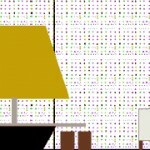 They can collect actual shops and landmarks, which are generated using the Foursquare API. The players can also accrue points, customize their car, and share their drive with friends via Twitter. The "Backseat Driver" offers the passenger a new way to enjoy driving. 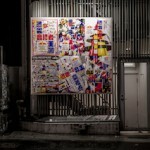 The platform was created for "Brand Graden", a fashion e-commerce website by au, a Japanese mobile phone carrier. This is a platform to transform buyers into sellers. 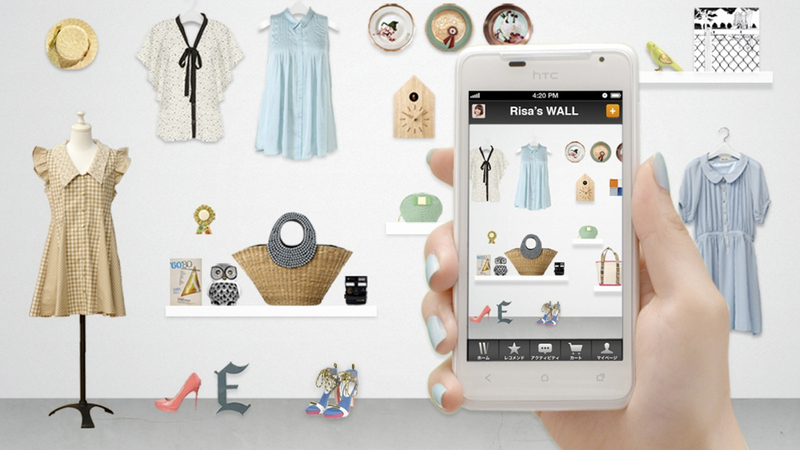 By registering on WALL, the users become the owner of the boutiques. They can display their choices of fashion and interior items in their virtual wall, and can share their own shops via SNS, like Facebook with their friends. 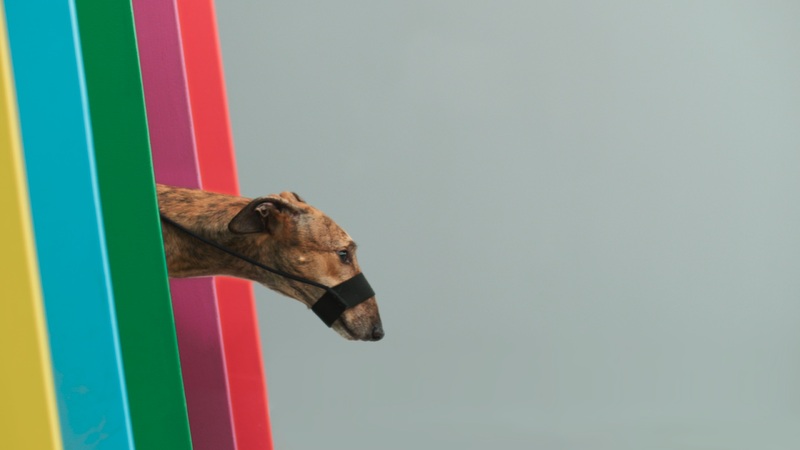 A small percentage of the revenue will be passed on to the owner. This is a new type of affiliate system. 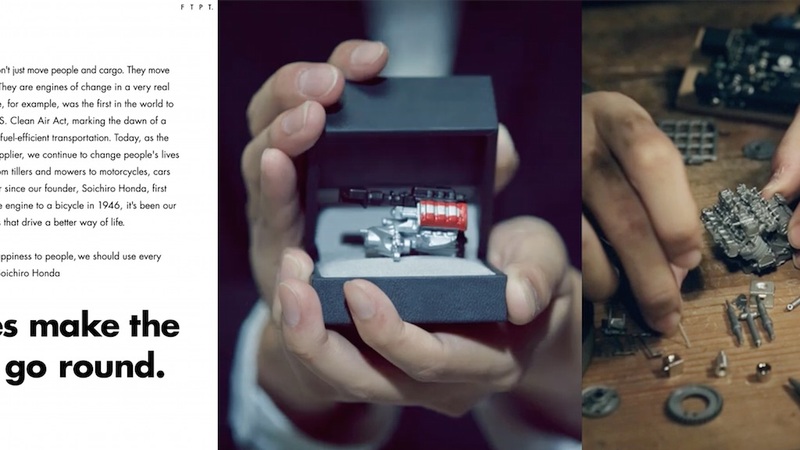 This was an integrated brand campaign for Honda's new hybrid car lineup, which was introduced to counter the national leading brand PRIUS, which goes 10 years ahead of the market. 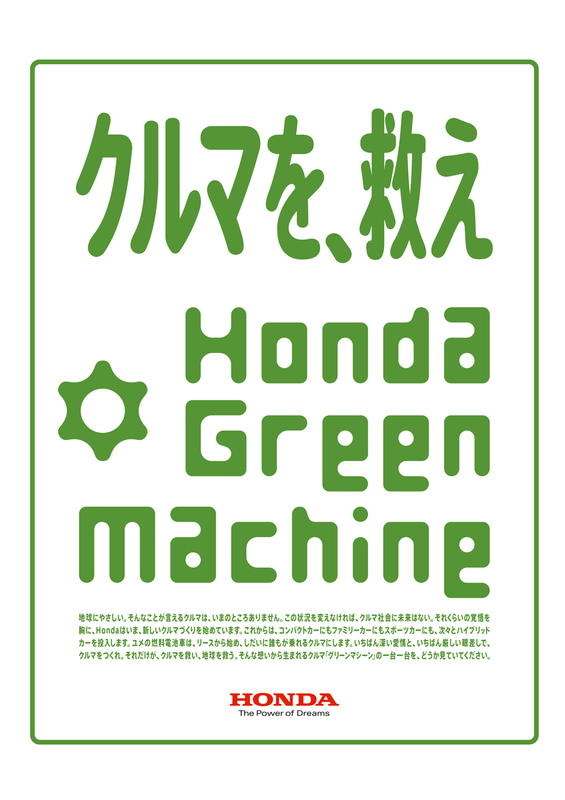 The unique technology made "competitive price" and "full-lineup strategy" possible and we named the lineup as "Honda Green Machine". Toyota established its image as the "inventor" of the hybrid, therefore our strategy was to position Honda as the "democrat" and successfully executed the debut campaign for the first Honda Green Machine, Insight. The launch had a substantial impact on the industry and Toyota even announced to reduce the price of PRIUS just after the campaign. Creative direction for the Tokyo Motor Show Honda Booth in 2009. Unlike an usual booth, the vehicle was surrounded by a wall and was not visible from outside. 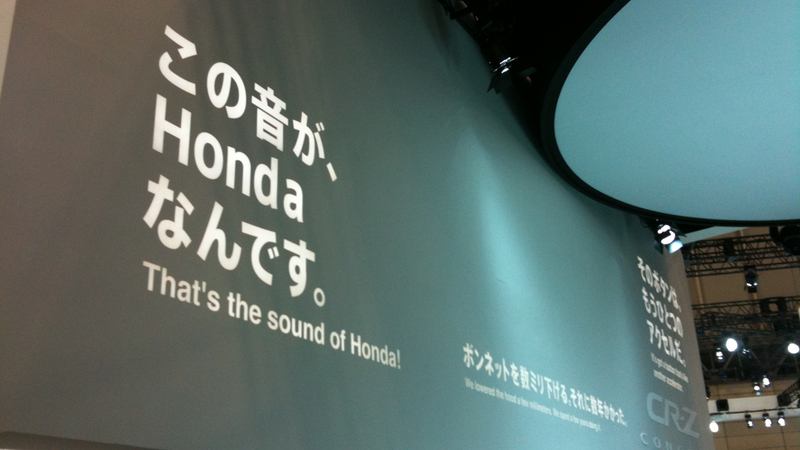 The philosophy behind the product development was written on the wall surrounding the vehicle, both in English and Japanese. The booth was designed not only to display the product itself but also to showcase and communicate the philosophy and context behind the product. 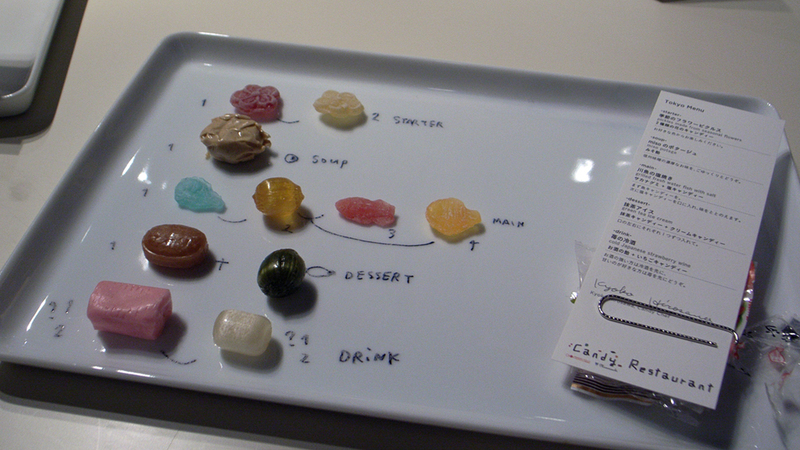 Candy Restaurant is a pop-up restaurant created for the opening campaign of Yurakucho Marui department store. The restaurant serves full course menu completely made with candies. This unique space was designed in collaboration with an artist, Martí Guixé. 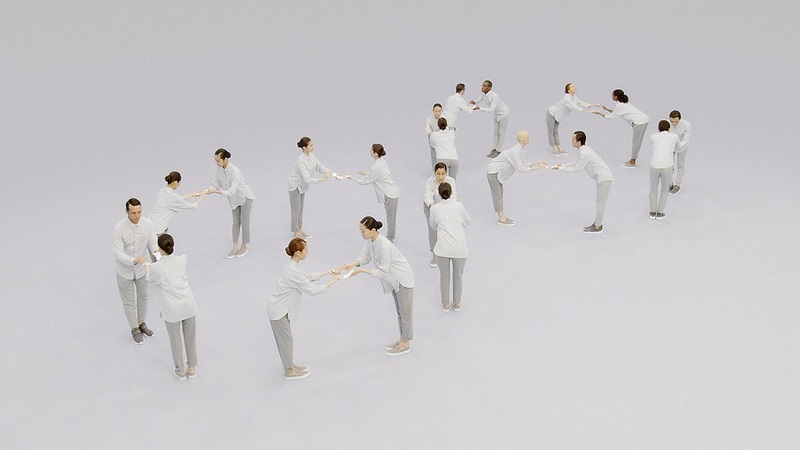 A teaser website created for the grand opening campaign for Shinjuku Marui department store. Set in a mega-city Shinjuku, the narrative tells a story of a boy meets girl, in a world 1cm above the ground. 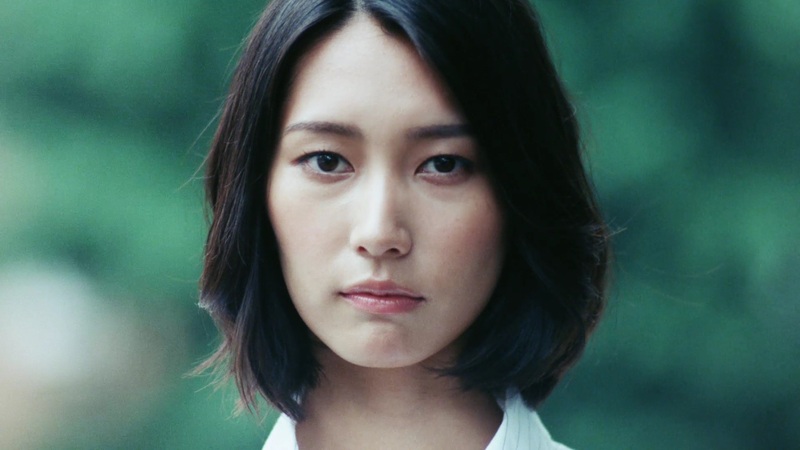 The story was written by copywriter, Takashi Yamamoto. The opening campaign for Yurakucho Marui department store. 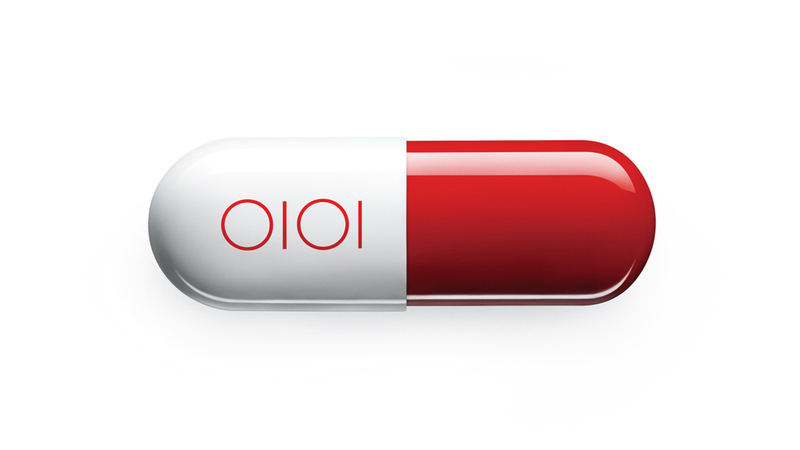 The concept was "Fashion Thearpy" and the teaser campaign was executed with a "capsule" icon. We installed "capsule" vending machines on the street, opening the "Candy Restaurant", and projected gigantic animation on an exterior wall of the store. 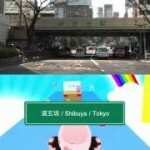 The campaign turned Yurakucho area into a big toy box and attracted a lot of media coverage. 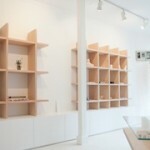 After the opening, we've worked on a section of the store space and also the shopping bag design. 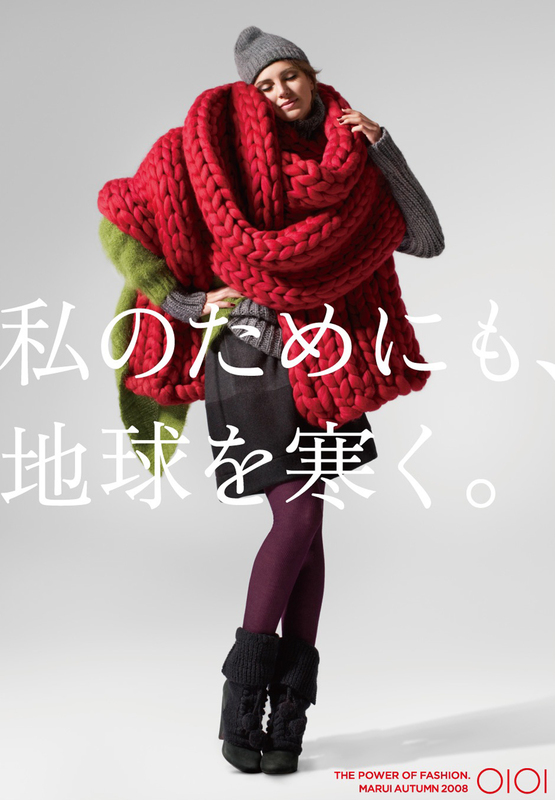 The brand advertisement for Marui, a Japanese fashion department store. 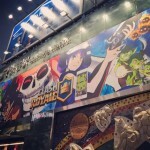 A gigantic advertisement covering the exterior wall of Marui building. The graphic was switched every month and so it changed the entire visual scenery of the town. The impact was clearly visible. Since then, the neighbouring department stores have inquired about the creatives behind the advertisement. The 40th anniversary campaign for "Licca", the Japanese Barbie doll. In the world of "Licca", women have long been considered as "good wives and wise mothers", which is a norm that people valued 40 years ago. In order for the brand to fit into a new generation, we created a story named, "Licca World Tour". The story was told via Licca's personal blog updated in real time as she visited new cites. A new product line-up was released coinciding with her journey, such as a limited edition Licca doll wearing fashion items based on the location. The campaign worked well, along with developing products and the store fronts (we supervised the product design). 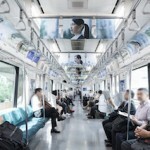 The entire journey of 11 cites in 9 countries was then edited into a photo journal which was published from Shogakukan at the end of the campaign. A campaign aimed at the brand revitalization of Nichirei Acerola drink. In order to rejuvenate the brand and the customer base, we chose young women as our main target. 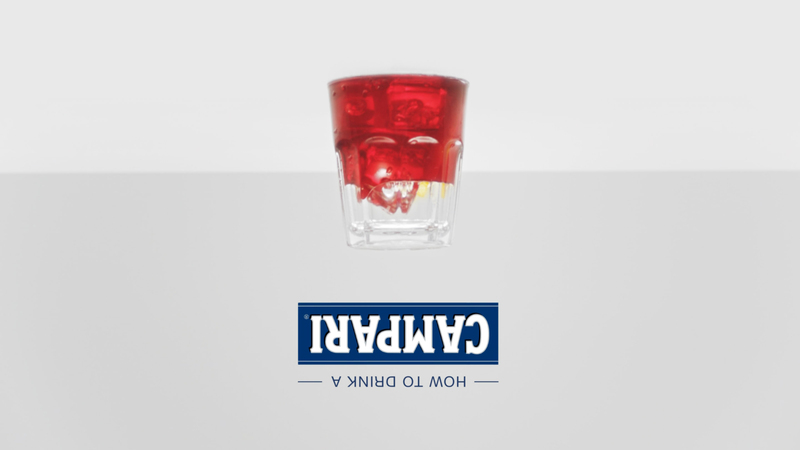 Under our integrated creative direction, the brand was reformed from the package design to the communication strategy. 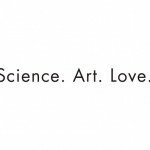 The corporate slogan for Dentsu. I have left Dentsu but the slogan is still there. 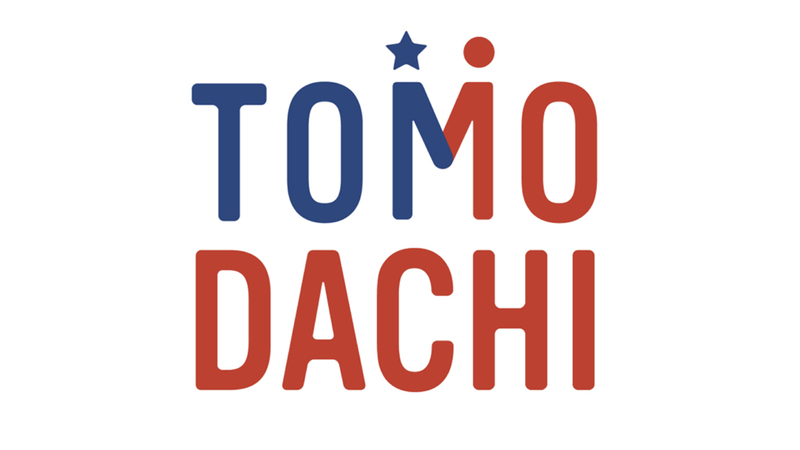 "TOMODACHI" is a project founded by the Embassy of the United States in Tokyo, to support Japan in re-establishing from the 3.11 earthquake. The offer came directly from the Ambassador John Victor Roos, to create the visual identity for the project.